Willow is a certified classical homeopath, labor doula, and prenatal yoga teacher. She has a Bachelor of Science in Neuropsychology. And she combined her holistic interests with her medical studies and ventured into homeopathy. For the last 8 years has helped families and individuals of all ages handle everything from anxiety and depression to morning sickness and sore throats. She is a huge proponent of the body’s power to heal itself and infuses nutrition with real food into her practice. 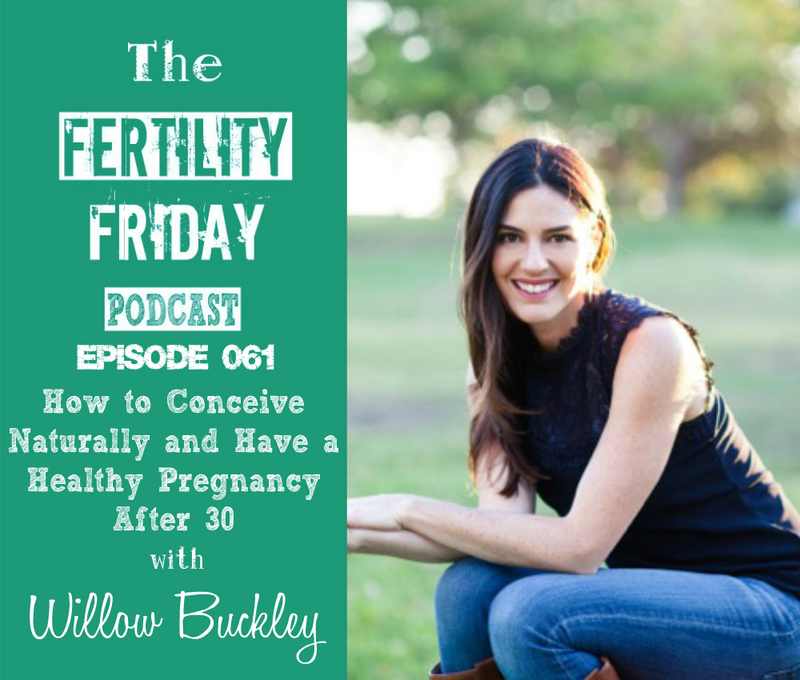 And when became pregnant herself her focus shifted leading her down her current path as a prenatal, birth, and postpartum guide and co-author of the recently published book, How to Conceive Naturally and Have a Healthy Pregnancy After 30. In today’s show, we talk about how to prepare for pregnancy before you start trying to conceive and why it’s important to do so! We will also be talking about what women need to know about having babies after age 30! What is the connection between sugar, gluten, and infertility? How can food sensitivities impact fertility? What does impact waiting to have a baby at an “advanced maternal age” (i.e. 30 and over) have on a woman’s fertility and her ability to conceive and have a healthy pregnancy? You can connect with Willow on her website, and on Facebook! I love your podcasts. This one was super informative and great, but I really had a problem when she said about the thought “I’m not going to being able to conceive naturally – its a myth.” I think this mindset its not helpful. After struggling with my fertility for almost 2 years, no, I am not able to conceive naturally. And its not because I didn’t take all her recommended steps such as eliminating caffeine, sugar, gluten, and eating healthy fats and organic dairy and meats. She goes on how everything is fear based. But actually, a LOT of women suffering from infertility have a reason to be fearful that they can’t conceive naturally. I think her book sounds great, and I agree with most everything she says, but I really don’t like how she makes it sound like its going to be fine and you just have to do these natural things to get pregnant. That’s not true for a lot of us. It’s nearly impossible to find well-informed people for this topic, but you sound like you know what you’re talking about!